In the 1970s and prior, hardwood floors required regular annual waxing in order to keep them protected from scratches and scuffs. 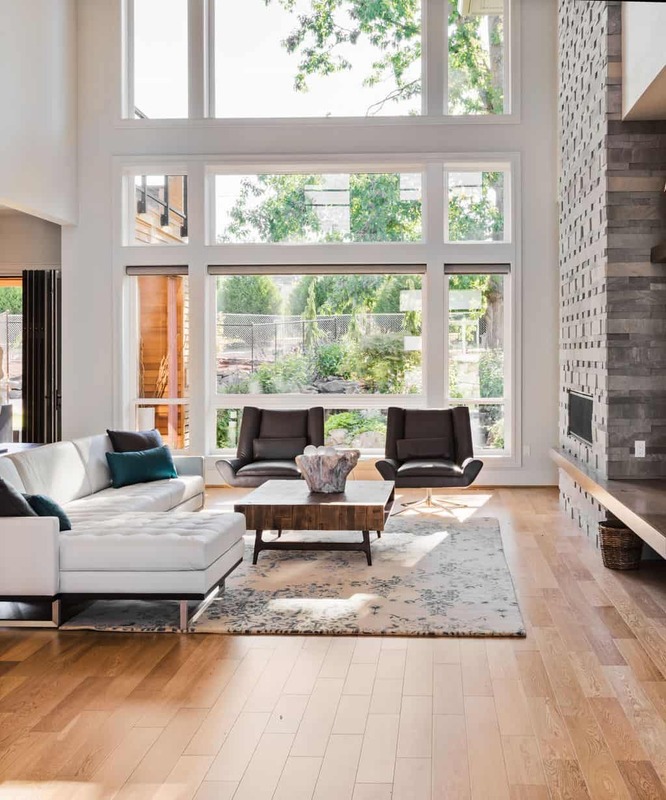 These days, hardwood floors are almost all coated in a polyurethane topcoat to protect them, which does not need to be re-applied on a regular basis. These floors should NEVER be waxed. That bears repeating, NEVER wax a floor that has been coated in polyurethane. 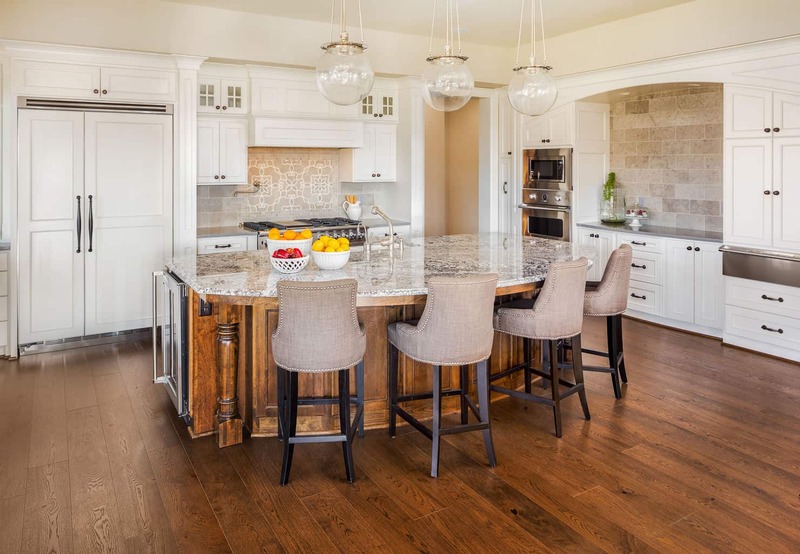 If you’re having new hardwood installed, however, and are trying to decide whether hardwood floor wax or polyurethane is the way you want to go for the protective topcoat, read on for help deciding whether wax is worth the additional effort. Why Is Waxing a Resurgence? Wax is starting to make a comeback recently. With low maintenance, easy polyurethane, what makes wax so special. It’s beautiful: Wax floors have a causal, natural look that is less shiny than polyurethane coated floors. ​Wax is a more natural choice: Hardwood floor wax is much lower odor than polyurethane upon application. The VOCs (volatile organic compounds) in paint and polyurethane are what cause the strong scent and are considered potentially dangerous to health in the long term. These concerns are leading many people away from synthetic compounds these days and chasing them towards more natural options. There are two different types of hardwood floor wax and each type can be used for untreated hardwoods. Any brand of wax for hardwood floors will not contain abrasive chemicals damaging for hardwoods such as bleach, ammonia or lemon. 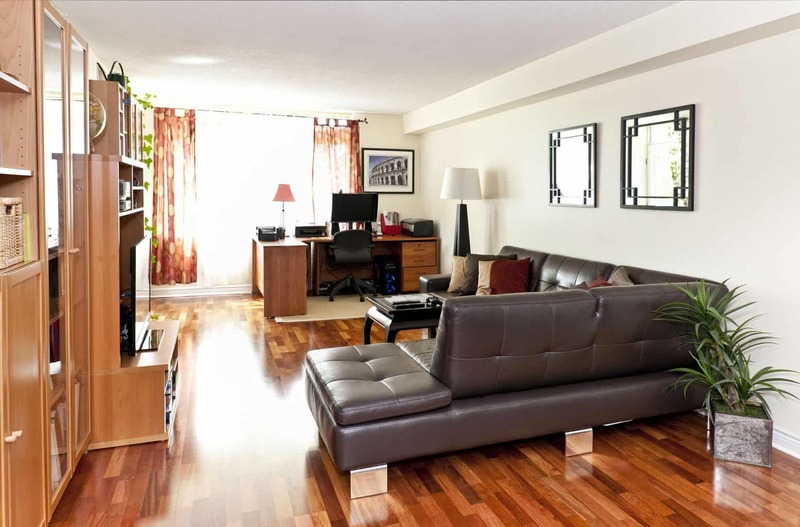 Choosing your hardwood floor wax will come down to a manner of preference. Solid Paste Hardwood Wax: This is the traditional, old-school type of floor wax. This can be used for unfinished cork floors, linoleum, concrete, or hardwood that has not been treated with any kind of urethane layer. To apply a paste wax, you will need to spread it evenly and rub it into your floors in a circular motion, following the grain of the wood, with a cloth. 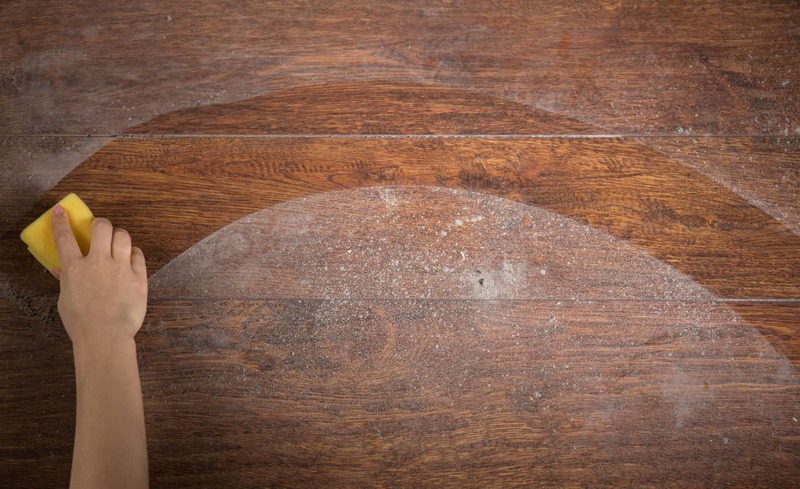 With the paste, you will need to take extra care to ensure the wax is in any crevices or cracks in the hardwood. ​Liquid Hardwood Wax: Liquid wax is the same as solid paste wax in ingredients, but only many claim it is easier and faster to apply liquid wax evenly. Liquid wax is easier to apply in a thinner layer than the paste, which is preferred by some for the look. So which to use? Test them out! Some prefer spreading the paste wax over the liquid wax because it is easier to control how much you are using at a time. Anecdotally, many claim the paste wax lasts longer than the liquid, but this most likely depends entirely on your application rather than the wax itself. Either can be applied in several layers and both need to be maintained similarly. First and foremost, be completely certain your hardwood floors have not been treated with any urethane in the past. 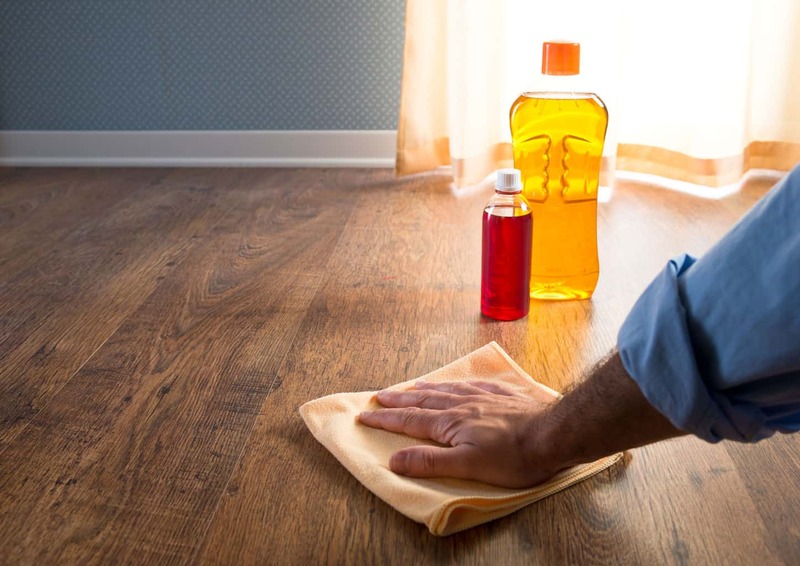 Applying wax over a urethane layer can result in a dangerously slick surface and can also interfere with either product doing its job to protect your hardwoods. 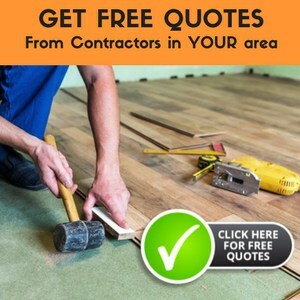 If this mistake is made, you will have to strip and refinish your floors. If you are certain you only want to use wax on your hardwood floors going forward instead of the polyurethane and the hardwood has already been treated, you will need to strip your floors down completely by sanding before applying any wax. Before starting the wax application process, vacuum your floors thoroughly and be sure to remove all dust and dirt from the hardwoods. Also, be sure the floors are completely dry. Begin with a little of the solid or liquid wax on a terrycloth. Some say that liquid wax can be applied with a mop, but waxing floors by hand is recommended over any shortcut methods. Apply the wax in a circular motion, following the grain of the hardwood. Reapply the wax on the cloth as needed. Once the wax has been applied to the entire surface of the floor, allow the hardwood flooring to air dry for a minimum of eight hours without anyone walking on it. Is waxing more effort than treating your floors with polyurethane and letting them go? Yes. But if you truly prefer the look of the hardwood floor wax over the shinier poly finish, waxing your hardwood floors is a perfectly simple annual chore that can be accomplished in a single day. In fact, hardwood floor waxing is quite an enjoyable and relaxing task that many find restorative, and not just for the floors!